College of Tao and Integral Health was founded in the US by Hua-Ching Ni (aka OmNi) in the mid 70s to transmit the teaching of the Integral Way. The term "Integral Way" describes the original self-cultivation tradition of Taoism, which originated in China and is far older than the later development of religious Taoism (e.g., the Celestial Master sect). It is this self-cultivation form of Taoism that is first evidenced in the Nei Yeh (perhaps the earliest written Taoist work according to Western scholars), elucidated in the teaching of Lao Tzu's book The Tao Teh Ching, and continued to be transmitted through such immortals as Ge Hong, the Shangqing School, the Zhong-Lu School, and the internal alchemical traditions of the various branches of the Complete Reality (Quanzhen) School. ​With his father Hua-Ching Ni, Dr. Mao Shing Ni studied meditation and the movement arts of tai chi and qi gong and later became a Master Teacher. He serves as the Co-Chancellor of the College of Tao. Dr. Mao Shing Ni was ordained as the Head of the Integral Way Tradition in 2000. He oversees the College of Tao and is active in teaching the Path of Constructive Life—the attainment of physical, mental, spiritual, moral and financial health in one’s life. Popularly known as “Dr. Mao” is the 38th generation of Chinese medicine doctors in his family. Well known and respected in the field of integrative medicine, he is the cofounder of Yo San University and holds two doctorates as well as being board certified in anti-aging medicine. Dr. Mao has written 18 books including his bestselling books Secrets of Longevity, Second Spring, Secrets of Longevity Cookbook and his latest, Live Your Ultimate Life. Awarded “Best of the Best” on The Dr. Oz Show, Dr. Mao can also be seen on The Doctors, Katie Couric, as well as the pages of The New York Times and The Los Angeles Times. Online he writes about natural health and longevity on The Huffington Post, Ask Dr. Mao, EmpowHer and other popular websites. Dr. Mao and his team of doctors practice at Tao of Wellness, integrative medical centers in Santa Monica, Newport Beach and Pasadena, California. Daoshing Ni, or Dr. Dao, like his brother Mao Shing Ni, has received intensive training in Traditional Chinese Medicine and the Taoist tradition since his early childhood, first from his father, Hua-Ching Ni, and later from other achieved teachers in the United States and China. He now brings this wealth of knowledge into his medical practice, his teaching and his everyday life. He is a co-founder of Tao of Wellness, a Traditional Chinese Medical practice, where he specializes in reproductive and gynecological medicine. Well-known and highly respected in his field, his compassion, dedication and knowledge are transmitted in his attentive caring. Dr. Dao is a Licensed Acupuncturist in the State of California and is a Diplomate of Chinese Herbology NCCA. Dr. Dao has been active in the TCM profession as well as professional organizations. He was an examiner for the California Acupuncture Committee and also participated in the Chinese Herbology Exam development for NCCA. Well known and respected for his special interest in reproductive and gynecological conditions, Dr. Dao is a member of the American Society for Reproductive Medicine, Pacific Coast Fertility Society, and American Association of Oriental Medicine. Dr. Dao is the author of Tao of Fertility and co-author of Sitting Moon: A Guide to Rejuvenation after Pregnancy.Dr. Daoshing Ni trained intensively with his father, Master Hua-Ching Ni, and other achieved teachers in both the Taoist tradition as well as Chinese medicine. Continuing the legacy of his family tradition, he has embraced the teaching and practice in his everyday life. A co-founder of Yo San University, he served as president of the school for many years. He and his brother, Master Mao Shing Ni, are co-chancellors and create a balanced energy in this small yet deeply rooted family-like study environment where students make up the 39th generation of the Ni family healing legacy. The College of Tao and Integral Health was founded during the 1920s in China by Yo San Ni, a Chinese physician and Taoist master, in order to provide a classical education for his son, Hua-Ching Ni, and other students. In the mid-1970s, the College of Tao was brought to America by Hua-Ching Ni (now known in his retirement as Grand Master Ni or “OmNi”) and was established in Los Angeles, California. Its mission is to preserve and to promulgate the teachings of the Integral Way Taoist Tradition of China, as transmitted by the Ni Family to the Western world. The College of Tao initially offered a program of studies in acupuncture and Chinese medicine. Later, it also offered self-study and correspondence courses in the Integral Way Tradition. However, in order to effectively convey the vast body of knowledge and practice of the Integral Way Tradition, it became necessary to develop specialized institutes, which focused on particular fields of studies. Some of these institutes became independent while others remained within the College of Tao. Yo San University of Traditional Chinese Medicine, located in Los Angeles, California, was the first institute to branch out from the College of Tao and to become independent. It was founded in 1989 to provide professional medical training in Traditional Chinese Medicine. Two more institutes, Chi Health Institute and InfiniChi Energy Healing Institute, were founded in 1998. These institutes remain within the College of Tao & Integral Health. The Chi Health Institute oversees training and certification in the Ni Family movement and meditation arts. The InfiniChi Energy Healing Institute oversees training and certification in professional energy healing practices. The Universal Society of the Integral Way (USIW) has worked closely with the various institutes. It was founded in 1993 with OmNi's guidance, as a community of students and mentors of the Integral Way working together to support personal and social development. Since then, the USIW (a.k.a., the Integral Way Community) has undergone various transformations in its form, name, and structure. Today, it remains the community of friends (i.e., “Friends of the Integral Way”) that surround and support the College of Tao and the Integral Way Tradition. As of 2017, the College of Tao & Integral Health consists of departments, institutes, and programs. The College offers educational and training programs in the Integral Way Taoist Tradition and Chinese Health for the public and for health professionals. Many of its programs are correspondence or distance-learning courses for self-paced learning while some are held onsite in Los Angeles and other parts of the United States. The teaching of the Integral Way Tradition, as transmitted by the Ni Family, is based on the works of Hua-Ching Ni, a Taoist master, spiritual teacher, and physician of natural health who has preserved and distilled the spiritual and healing wisdom of the ancient East. Hua-Ching Ni’s dedication to uplifting the human spiritual condition has led him to write and publish over 100 books in English and Chinese. For information about these books, click here. 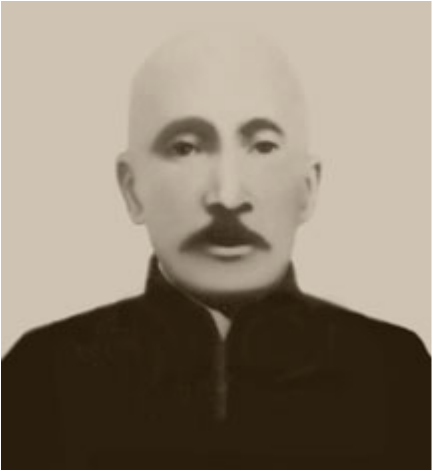 ​When Master Yo San Ni was born in China in 1879, the Ni family lineage had passed down a Taoist spiritual legacy and knowledge of Traditional Chinese Medicine for many generations. At the age of sixteen, Yo San went on a quest to rebuild his family's healing wisdom, as his father, a pediatrician, had perished in a fatal accident. Yo San sought out relatives, friends, and patients, but most of all, the spiritual leaders and masters of Taoism and Traditional Chinese Medicine who had fled political oppression and lived as hermits in the mountains. In his thirties, Yo San began practicing medicine and then founded The College of Tao and Traditional Chinese Healing which offered instruction for both academic and spiritual growth. ​​Hua-Ching Ni (OmNi) has been teaching and practicing in the United States since he founded College of Tao 1976. OmNi is fully acknowledged and empowered as a true Master of Tao. He is heir to the wisdom transmitted through an unbroken succession of 74 generations of masters dating back to the Han dynasty (206 BCE – 220 CE). He also belongs to the 38th generation of healers in the Ni family legacy. As a young boy, he was educated within his family in the spiritual foundation of Tao, and trained in mainland China by Taoist masters in healing, T’ai Chi Ch’uan, Kung Fu, Internal Alchemy, Chinese Medicine and Herbology. Later, he studied for more than 31 years in the high mountains of China, fully achieving all aspects of Taoist science and metaphysics. He brings the ancient wisdom (now known as the Integral Way) alive for us today by using modern language. OmNi’s tireless passion to bring about a better world keeps him writing. His goal is to help people rebuild their natural, healthy energy and awaken their spiritual potential. He has written over 70 books in English and around 50 in Chinese. His books are full of treasures gleaned from his own experience and development. Master Hua-Ching Ni (OmNi) is a spiritual teacher and physician of Traditional Chinese Medicine who has preserved and distilled the Taoist spiritual and healing wisdom of the ancient East. Son of Yo San Ni, Hua-Ching Ni was born in China in the early 1900s and studied at his father's College of Tao and Chinese Healing. At the age of sixteen, he set off to attain his own experiential education. Because of the rapid changes in war-torn China, Yo San Ni advised Hua-Ching to leave, and for twenty-seven years he lived in Taiwan teaching Traditional Chinese Medicine. With his wife and two sons, Daoshing and Maoshing Ni, he eventually moved to the United States. In 1976, College of Tao and Integral Health was established. In 1989, Yo San University of Traditional Chinese Medicine was founded by the Ni Family in Los Angeles, California. The College of Tao's mission was to educate new teachers of the Ni family Taoist movement arts and spiritual tradition. Master Hua-Ching Ni published over 100 books in English and Chinese, travelled and taught extensively. In the year 2000, he retired as the Master of the Integral Way Taoist Tradition and now lives in China. Many books on the Integral Way Taoist Tradition have been written by Hua-Ching Ni, and his sons, Drs. Mao Shing Ni and Daoshing Ni. We also offer distance learning courses in Integral Way Taoist Studies, Traditional Chinese Medicine, health, and nutrition. The College is organized into departments, institutes, and programs that offer instruction, certification, and degrees in the Ni Family movement arts, energy healing, Taoist studies, and Chinese medicine. In its inception in the US in the mid 70s College of Tao was a medical school for acupuncture and Chinese medicine then in 1989 a sister school was founded called Yo San University of Traditional Chinese medicine to take over the medical education. Since then College of Tao has been able to focus on its mission to transmit the teachings and practices of the Integral Way Taoist Tradition, a stream of “original Taoism” that emphasizes the self-cultivation of the energy of our body, mind and spirit to attain health, happiness, longevity, and spiritual immortality.